In C.J. 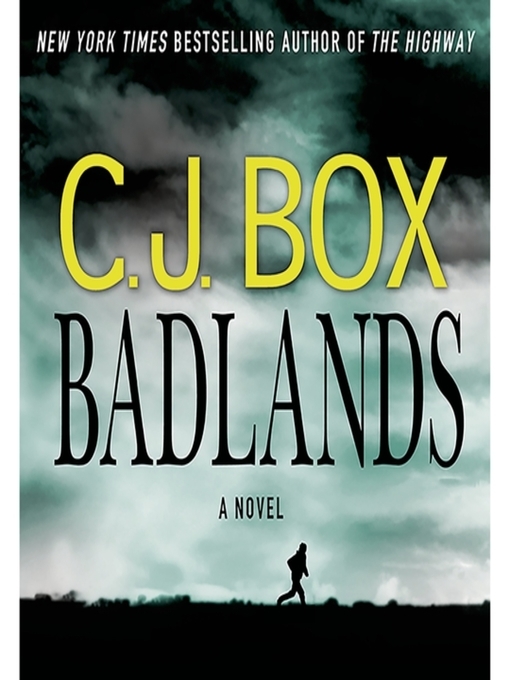 Box's Badlands, the town of Grimstad used to be a place people came from but were never headed to. Now it's the oil capital of North Dakota. With oil comes money, with money comes drugs, and with drugs come the dirtiest criminals Grimstad's new deputy sheriff Cassie Dewell has ever encountered. . .
Twelve-year-old Kyle Westergaard dreams of getting out of Grimstad and leading a better life. Even though Kyle has been written off as a "slow" kid, he has dreams deeper than anyone can imagine. One day, while delivering newspapers, he witnesses a car accident and takes a mysterious bundle from the scene. Suddenly he's in possession of a lot of money—and packets of white powder—and Kyle can't help but wonder whether his luck has changed...for better or for worse.